We value volunteers because they are important. Volunteers have the power to transform both our community and individual lives. Watch above to see just a glimpse of the joy and impact that comes from service. 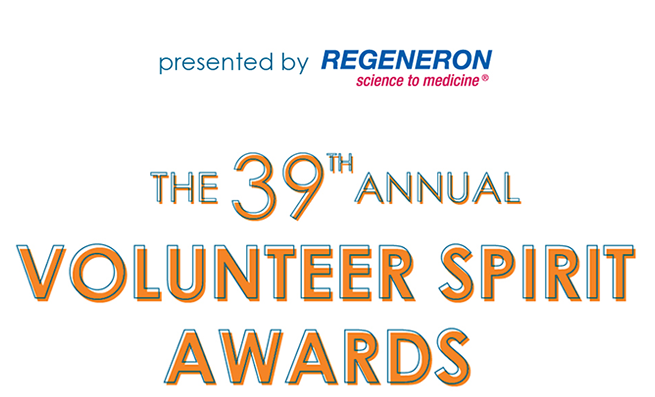 Joining us at the 2019 Volunteer Spirit Awards on Friday, April 5 is one of the best ways you can support local volunteerism. This special breakfast event is our one-and-only benefit of the year, raising mission-critical funds to inspire thousands of volunteers into action each year. If you're unable to attend, please consider making a donation in support of our mission. P.S. Your ticket to #VOLSPIRIT19 is also a seat at one of the most beloved, feel-good events of the year! You'll get to hear from truly exceptional volunteers who are making a difference right here in your own community. Presented By The Board of Volunteer New York! Thank You To Our Corporate Champions! Albert D. (Doug) Rogers is Corporate Vice President at New York Life and has been with the company for over 26 years. He began his career as a customer service associate and continued to rise through the ranks using his practical problem-solving skills. Today, Doug manages day-to-day business operations for internal and external providers of corporate services at the New York City, Westchester, Clinton, New Jersey and Jersey City campuses. Doug is also a graduate of the 2009 Class of Leadership Westchester. Immediately upon graduation Doug joined the Board of Volunteer New York!, and shortly after was elected to lead the organization as board chair with his calm, consistent and caring support of our mission and our people. In 2012, Doug was honored as the Leadership Westchester Alumnus of the Year for achievements based on his belief in the transformative power of volunteerism. For over 17 years, Doug's personal experiences have also driven his volunteer efforts with the First Baptist Church of South Orange and he was ordained as a Deacon in 2004. As a volunteer leader, Doug is involved in the church's SHARE (Self-Help and Resources Exchange) program whereby individuals volunteer their time in exchange for healthy affordable food. He has served as a quiet role model to many and is an inspiration to us all. We thank all who will join Volunteer New York! in honoring Doug on Friday, April 5, 2019.